I love Christmas presents. Giving. Receiving. Shopping. Wrapping. One of my fondest Christmas memories was my annual trip to the mall with Dad. I saved my allowance to buy my parents and sister Christmas gifts. We usually ended up at Osco to buy Mom a bottle of Cachet cologne. Don’t judge. It was the early 80s. I used to make presents for my grandparents. Painted sun catchers, salt dough ornaments, and later counted cross-stitch towels. I’m pretty sure Grandpa’s nativity scene still has a lopsided, multicolored clay star sculpted by moi, circa 1979. My love language is gifts and truly it’s the thought that counts. Over the years I’ve gotten big presents – a bicycle, opal ring, tennis racquet, SLR camera, and iPod Touch. But it’s the sentimental ones that make me the happiest. The study Bible my parents gave me when I was in college. Last year for my birthday, Dad compiled hundreds of pictures of the first 40 years of my life, made a Ken Burns effect slideshow and burned them onto two DVDs. My maternal grandmother gave me her mustard seed necklace. It was the one item of hers I wanted because it reminded me how she showed Jesus to others and to me. My paternal grandmother gave me an egg separator that was a promotional item from the store where my grandfather worked. It was a utensil I didn’t have, Grandma didn’t need, and tied me to the the grandparent I lost in my teens. These are two of my most-prized possessions. One year, my husband gave me pearls for our anniversary. It was an extravagant gift but that he conspired with a co-worker to get them was what made them even more precious. And this year we did Christmas with my in-laws early. Twice they nearly brought me to tears with their gifts. 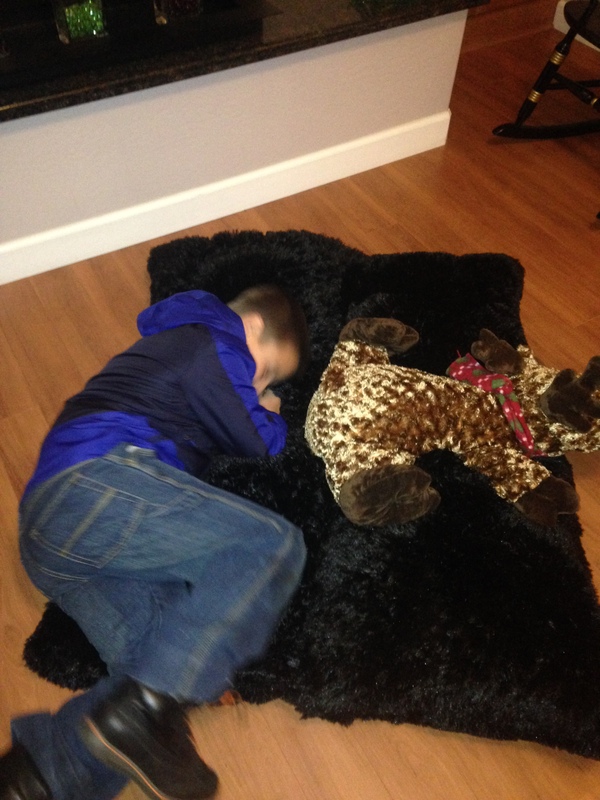 My son wanted a floor pillow like his cousin had. When my mother-in-law found out it wasn’t available, she made one. The other item was one of my gifts. One that spoke her love more than words. 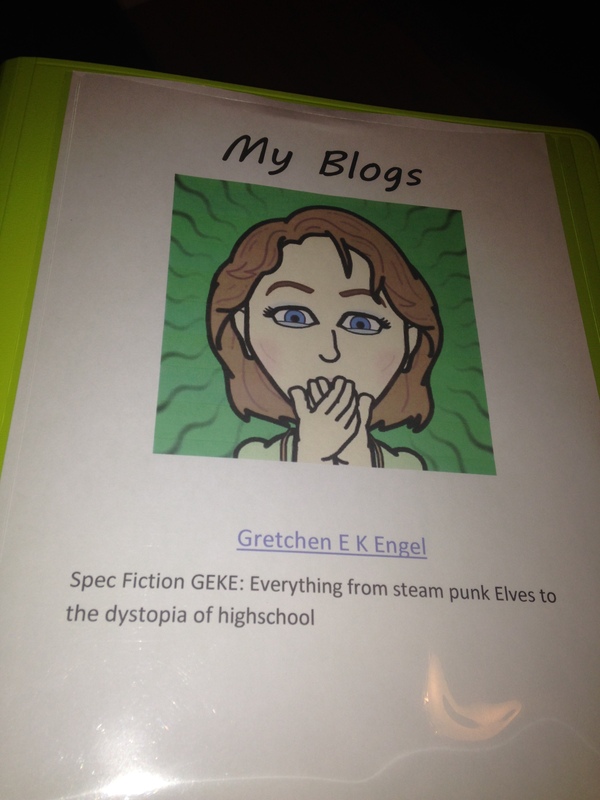 She made a binder (lime green, of course) and printed out my blog posts. Not only this one but The Scriblerians and Samie Sisters where I also blog. For her to take the time and honor my writing is better than any material gift. Although, I’m beyond happy with those gifts too. As we approach Christmas and reflect on the gift God gave us, His Son, think about gifts you can give of yourself to others. A random act of kindness to a stranger. Taking the time to sit down and watch Christmas shows with your family. 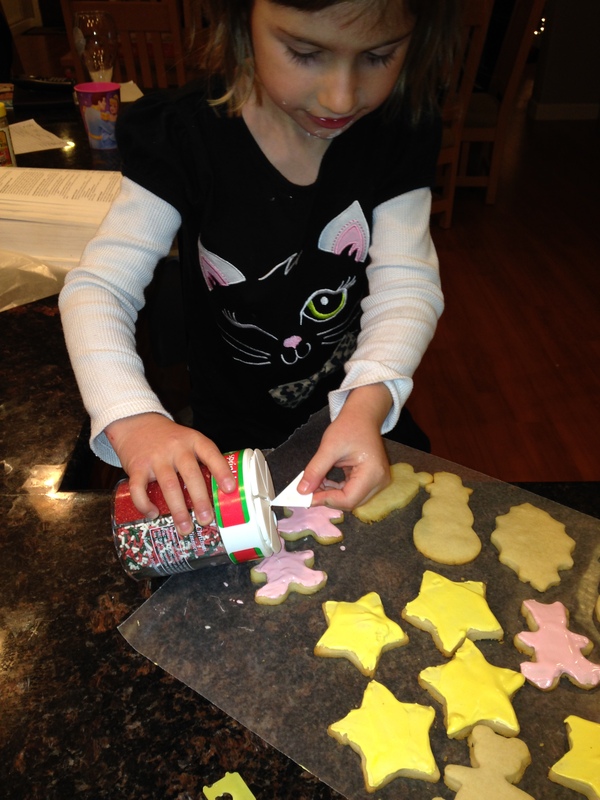 Include your kids in your Christmas baking. Go caroling. Volunteer. Part with an item of special significance to someone. Baking with a 5-year-old isn’t efficient or tidy but it’s totally worth it. What is one of the most meaningful gifts you have received? Or not. Saturday wrapped up November, or to us writer types, NaNoWriMo. National Novel Writing Month or NaNo for short. To “win” NaNo, you must write 50K words by the end of November 30. I logged 46,287 words. Last year was my first year and the carrot to win was huge. Scrivener software for $20. I was going to get 50,000 words if it killed me. This year, it was more of an excuse to work on my next novel while I edited the one I pitched at the ACFW conference. In some ways, I’m more of a winner this year than last. I got my word count last year, but the quality of my writing this year was much better. I’m proud of my 4,000 words short of a win first draft. So really, if you tried NaNo and only got 45,000, 20,000, or even 5,000 words, that’s more than you had October 31. That makes you a winner!